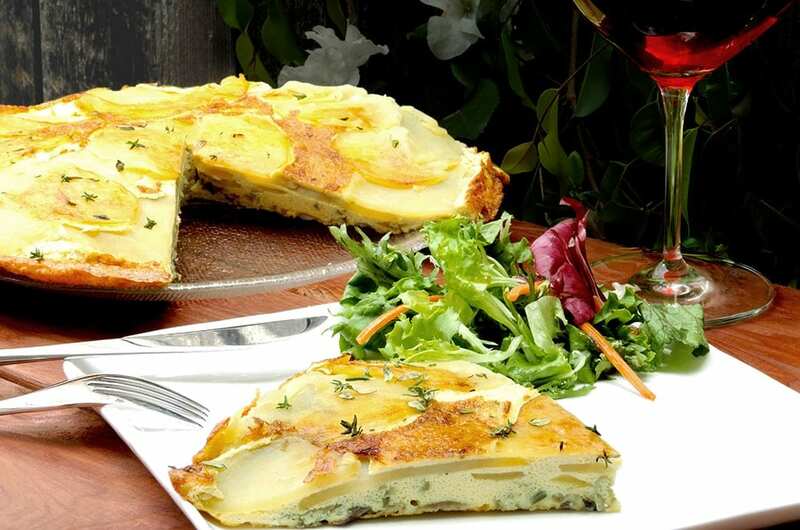 Potato and onion frittata is a delicious and rustic Italian recipe made with creamy potatoes, sweet caramelized onions and fluffy eggs, that is so easy to prepare. Serve it as a weekend brunch dish with a fresh green salad and a glass of Prosecco, or in a smaller portion as an appetizer for a cocktail party. 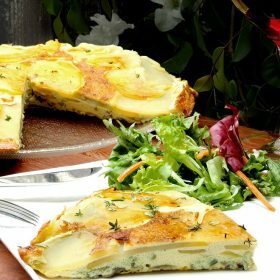 You can improvise with the ingredients with what you have in your pantry, today I had some potatoes, onions and eggs and created this flavorful dish… Just follow the recipe below to enjoy it. 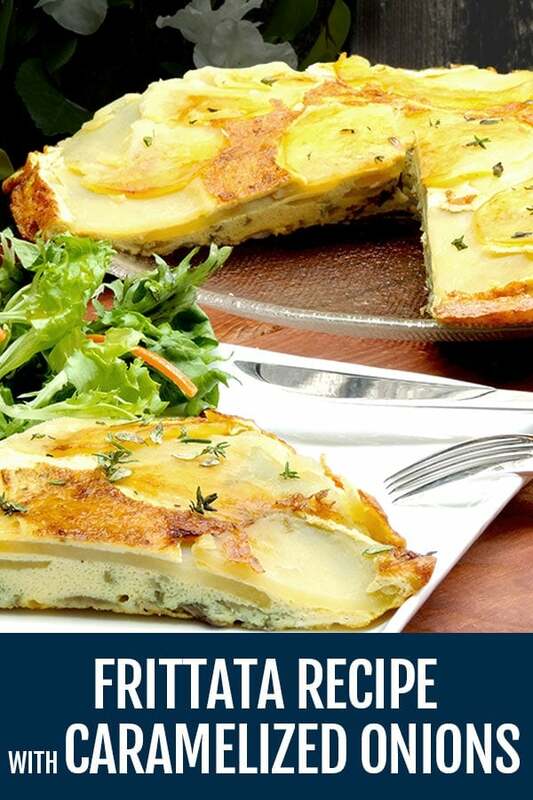 This frittata recipe is the easiest and most delicious recipe you can find. Make it with your favorite ingredients or just follow this easy recipe! Whisk together eggs, salt, pepper and freshly grated Parmigiano-Reggiano. Peel the potato and slice into 1/4 inch rounds. Place the cut potato into boiling salted water and blanch for 3 minutes, drain and transfer to a bowl of ice water. Add 2 tablespoons of oil to a heavy, oven-proof 12-inch skillet that is 2 inches deep. Heat oil over medium heat. Add the sliced onion to the skillet and cook until soft, and caramelized. Drain potatoes and pat them dry. Layer potatoes in the skillet overlapping them and cook over low heat for 1 minute. Add the caramelized onions evenly on top of the sliced potatoes. Pour the egg mixture over the potatoes and onions. Sprinkle 1/2 teaspoon of thyme and reserve the other half for garnish. Cook over low heat until the eggs are almost set, about 5 minutes. Transfer to the oven and cook for 15 to 20 minutes or until golden and firm. Put a serving plate on top of the skillet and flip so the frittata released from the pan and onto the plate. Let it rest for 5 minutes, garnish with the remaining thyme, then slice and serve.